I have two PowerPoint presentations in this section along with some sample overheads of information that I have presented. The first PowerPoint is over the Natural Selection and Evolution. Click here to see it. The second PowerPoint is an interactive slide show about common skin disorders. Students have the opportunity to choose which disease they want to look at next. If you view the powerpoint in slideshow presentation mode, you are able to choose which disease you would like to look at from the menu page. Click here to see it. 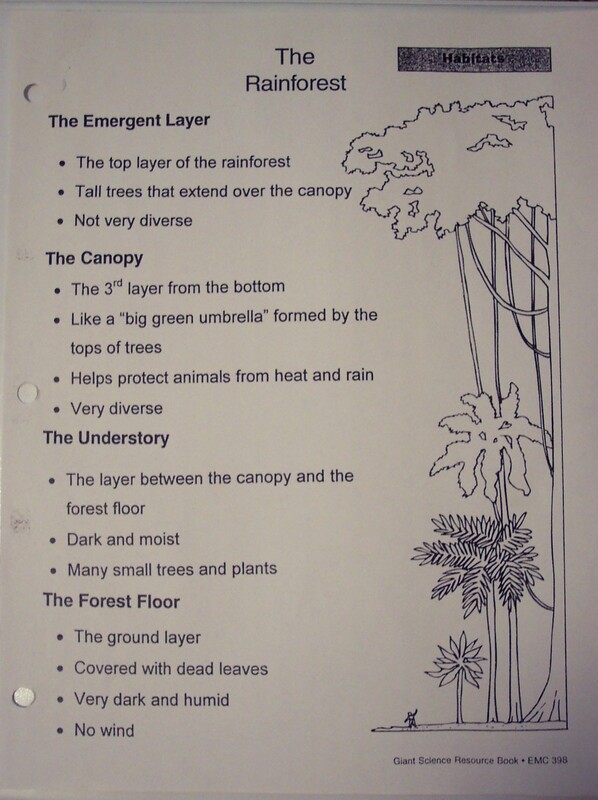 The first overhead I have is an outline of the rainforest layers. Click here to see it. I also have an overhead that I used to show students how acid rain is formed. Click here to see it.